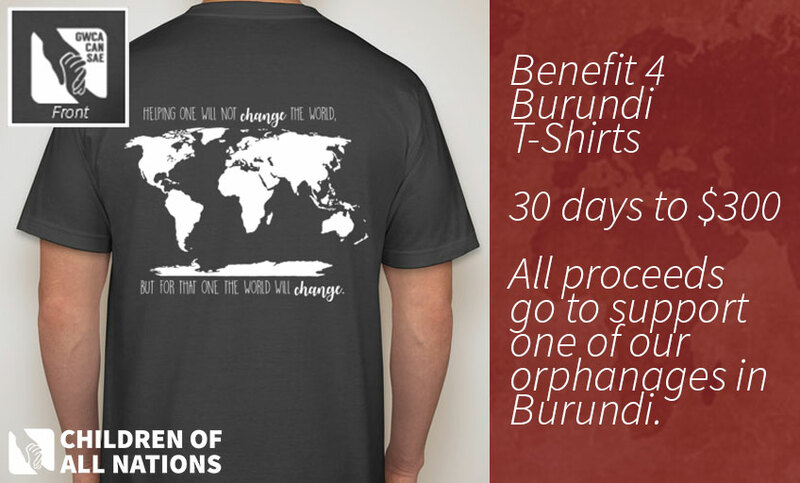 Benefit for Burundi: 30 Days to $300! UPDATE: We’re happy to announce that almost $2,000 was raised in the fundraiser for the orphans in Burundi! Thanks to you, the orphanage was able to purchase food and school supplies for the kids and pay almost half a year’s rent! Ever since I can remember, when anyone would ask me what job I would like to have, I could never pinpoint a specific profession, job, or title. All I knew was that I wanted to be able to help people. I wanted to be passionate about my work. I wanted help enrich people’s lives. I wanted to leave an impact. Working here at CAN, I get to do all of those things – every single day. Even after doing a ton of research on Burundi, it’s drastically different to read statistics versus hear the actual stories of the children. It really hits home and brings it into perspective the kind of struggles they face daily, which we would never have to worry about. Burundi is one of the three poorest countries in the world – let that sink in. I constantly find myself trying to grasp the concept that Burundians on average live off of $2 a day, and yet we don’t even think twice about spending $4 on coffee in the morning. I’ll never forget the day our rep told me about the orphanage needing assistance, since their main donor left the country. He went on to explain the dire situation they would face if they do not get funding. One can only imagine how this would impact not only the kids, but also the workers there who are already extremely underpaid. Hearing him talk about the conditions of the orphanage, the children’s daily lives, and how some of the children ended up in the orphanage put into perspective how lack of funding would negatively influence these sweet children’s lives. Proceeds from Benefit for Burundi will go directly to this orphanage in Bujumbura, where many of our kids come from. Any contribution goes such a long way to support their needs, from housing to food to other basic necessities. 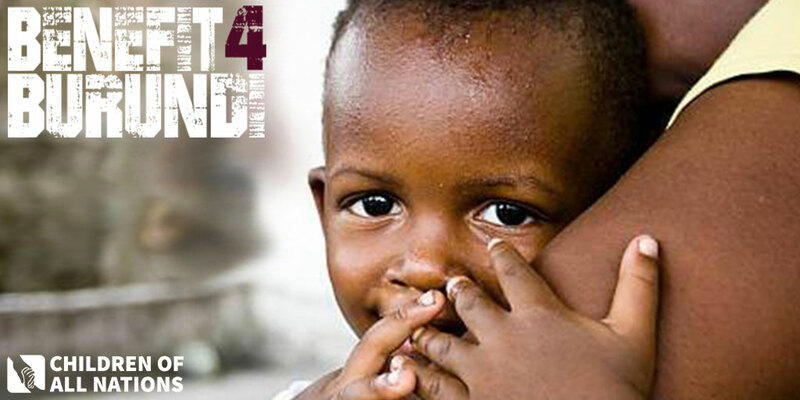 Our first Benefit for Burundi will be our T-shirt drive that starts September 5th! Our goal is to raise $300 in 30 days, and all proceeds raised will go towards covering rent for the orphanage. By supporting housing for the children, this ensures that the children will have a safe place to live until they find their forever homes. Visit this link to purchase a T-shirt or donate today and help improve the lives of these children!